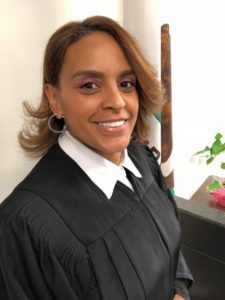 Commissioner Handy was appointed by the Supreme Court as a CJEO member in 2017. She began her judicial carrier in 2016 when she was elected to the Riverside County Superior Court. Her assignments have included family law and domestic violence matters. Prior to joining the bench, Commissioner Handy was an active member of legal communities across the state, having practiced as a public defender in Riverside and Placer counties, and having practiced civil and criminal law in Los Angeles and Fresno counties. Commissioner Handy brings to the committee a strong interest in judicial ethics.